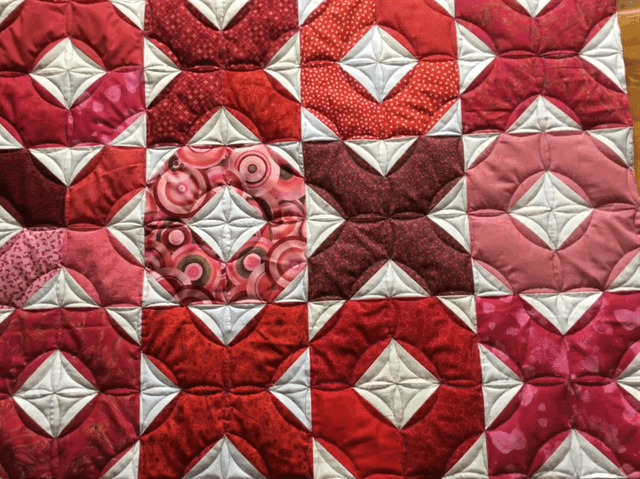 This was a quilt put together from donated blocks from my guild. 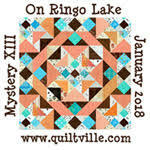 I volunteered to quilt it as I wanted the practise with rulers on my mid-arm. Here's a picture of it on the frame. 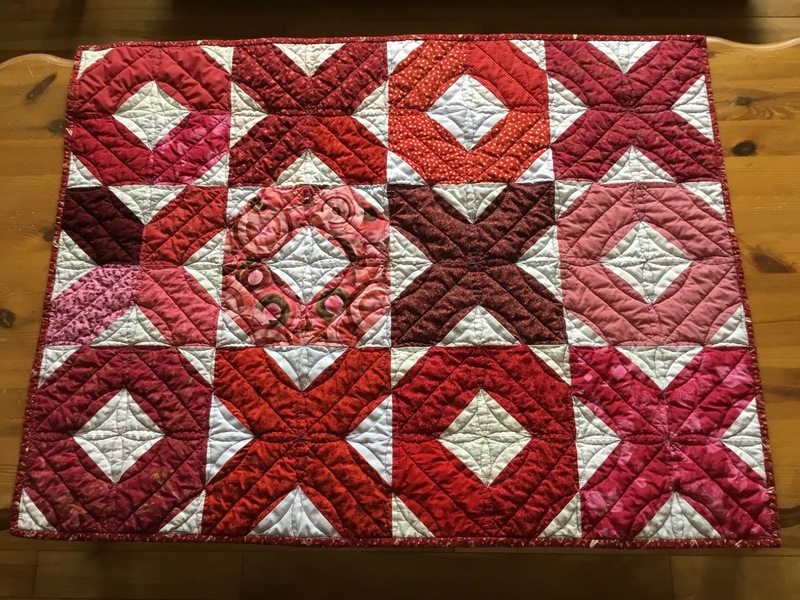 After I did the ruler quilting, I decided it needed a bit more quilting down the centres of the coloured blocks so I just put the walking foot on my regular machine and added in diagonal lines. Here's a before picture. 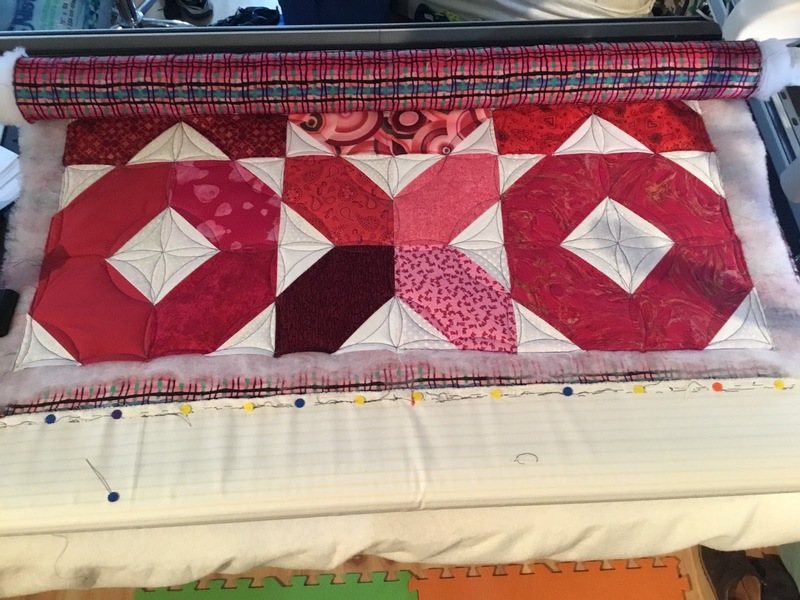 Here's a picture of it with the additional quilting and the binding on and all washed and dried. Here's another picture showing the backing. 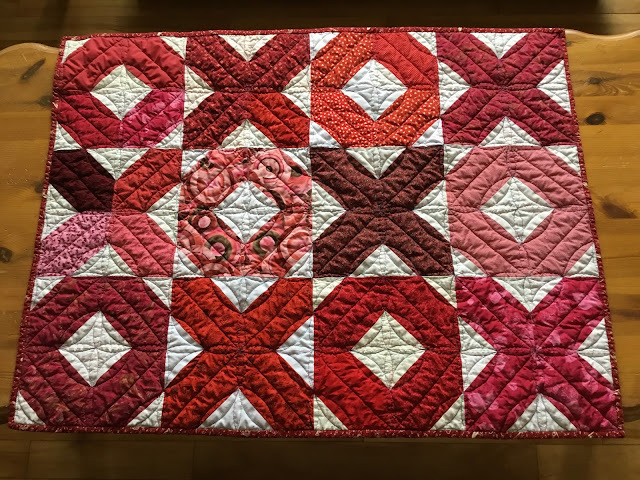 I was slow quilting it, but even from the first row to the last row I could see improvement in my quilting. I wobbled and bobbled here and there, but overall was satisfied with the outcome. 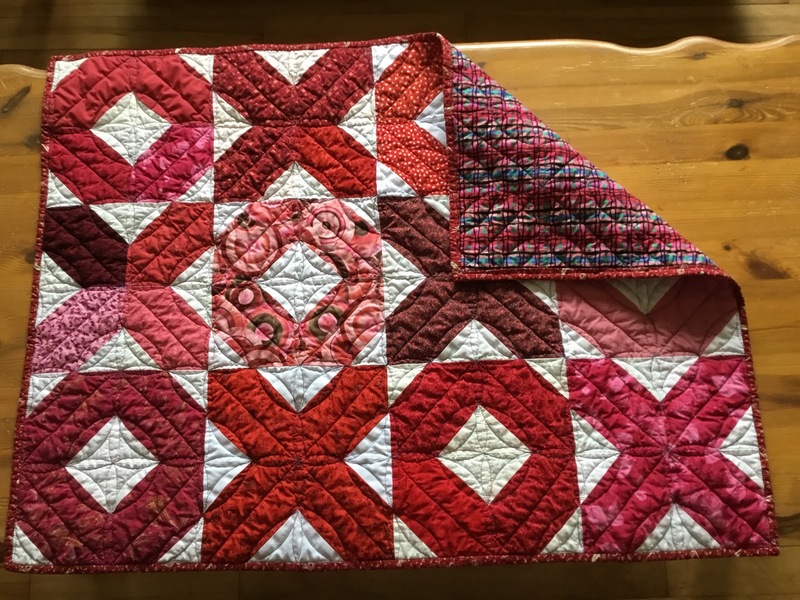 I will hand this in to the Mayflower Quilters Guild on Thursday and it will be off to one of the comfort charities we support.